Distressed Real Estate Developments and Declarant Rights: Potential Traps for Foreclosing Lenders - Ward and Smith, P.A. One of the most complex and challenging categories of OREO assets is distressed real estate developments. An unsettling number of stalled residential and commercial condominiums, subdivisions, and planned communities are ending up in the hands of lenders as a result of foreclosures. Indications are that more developments will fail before the economy recovers because many projects facing imminent maturity of five-year loans made at the height of the "bubble" are financially "underwater" and no longer eligible for new or extended credit. There are several specific matters that should be considered by lenders prior to the acquisition of a distressed development. Lenders should carefully analyze not only the physical and environmental condition and the legal title to the real property, but also the development plan, the adequacy of the legal formation of the development, and the developer's compliance with the development plan. The asset should be viewed not just as raw land, but as land with a value that has been enhanced by a development plan, burdened by liability associated with that plan, or both. Limiting liability exposure arising from the developer's prior actions and omissions. Distressed developers often fail to comply with the legally-required development steps of a condominium or planned development. The greater and more prolonged the level of the developer's distress, the more likely it is that property releases, annexation of additional phases, reservation of necessary future easements, and other development-related actions were not handled correctly. Lenders must consider the impact of these issues on the asset's value, including: (i) whether the problems can be solved by the lender acting unilaterally; (ii) whether the developer can (and is willing to) cooperate to solve the problems; and (iii) whether other parties whose consent may be necessary for correction of a problem are willing to give their consent, and at what cost. Purchasers may want or require assignment of some or all of the development and declarant rights associated with the asset. Therefore, lenders must carefully consider the status of those rights, as well as any obligations attached to them. Liability for those obligations may arise out of the community documents, defective workmanship, or breach of warranties. Of course, foreclosing lenders will want to limit their exposure to liabilities related to the actions, errors, or omissions of the failed developer. Successor liability for development and declarant rights is allocated under North Carolina law based on the type of development. For condominiums, the liability of the successor to a developer is clearly set out in the North Carolina Condominium Act. However, successor liability for planned communities is not clearly described in the North Carolina Planned Community Act, and courts have varied in imposing liability on successors to developers in planned communities based on the particular facts of a case. A plan to reduce exposure to potential liability as a successor is therefore essential for a foreclosing lender, and must be based on an analysis of the particular facts and circumstances of each transaction. Another important consideration for foreclosing lenders is the financial obligations of the developer under the condominium or community documents that will fall upon the potential successor, particularly if the successor becomes the owner of development and/or declarant rights. Those obligations may include an obligation to cover the association budget shortfalls or delinquent assessments unpaid by the failed developer. A foreclosing lender also may be bound to perform promised and once-viable actions that no longer give added value to the development (for example, building and operating a golf course, country club facility, clubhouse, or pool). Such amenities may be very expensive to construct, but demanded by owners of lots or units who bought in reliance on the promise of having them to enjoy. The historical and current governance of the association (including the failed developer's continued involvement, if any). Lenders should also investigate any disputes or potential disputes among the association, the current members, and/or the developer. 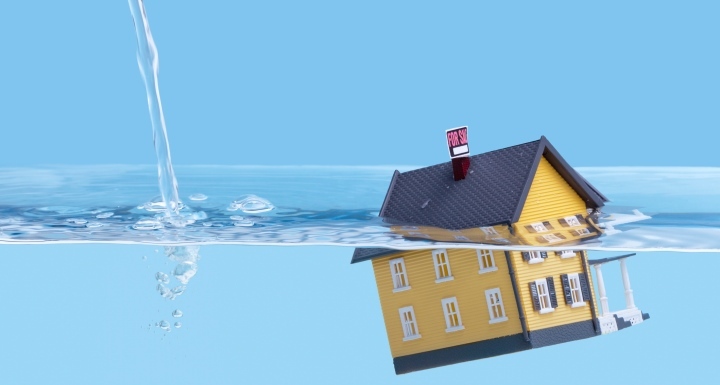 Whether or not there is any real potential liability for the lender, these claims can be costly to defend and also have a chilling effect on the resale market. Accordingly, they are pertinent to the lender's evaluation of its options. Failed real estate developments can expose foreclosing lenders to unforeseen burdens. Lenders considering whether to foreclose or take a deed in lieu from a defaulting developer should carefully consider all aspects of the development before negotiating or making a decision. © 2019 Ward and Smith, P.A. For further information regarding the issues described above, please contact Samuel B. Franck or Benjamin E. F. B. Waller.